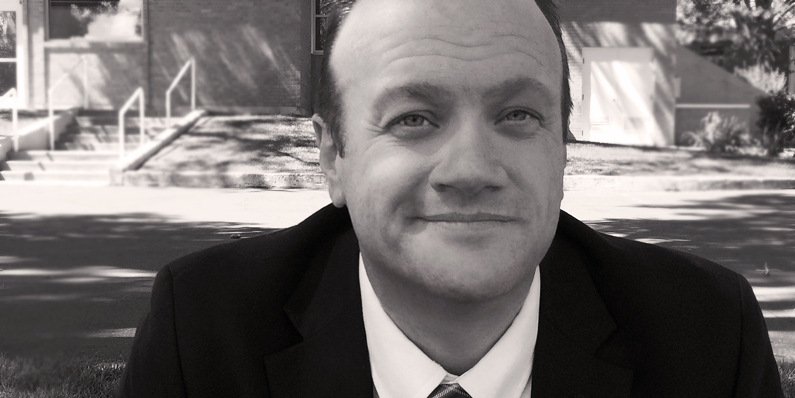 Getting started with LDS ward choirs. 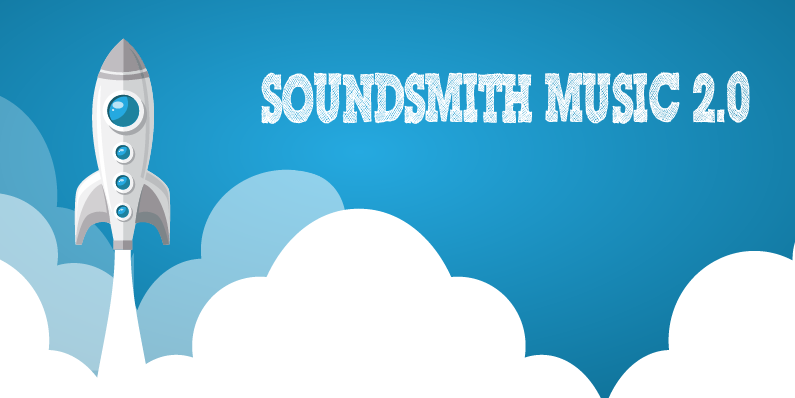 Get notified about new music. I’ll only send an email when new sheet music is added to the site and I’ll never share your information with third parties. I use MailChimp to manage this list, and they’re pretty serious about security and spam. 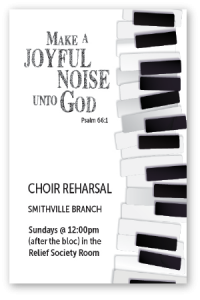 I often print choir notices as a program insert, especially at the start of a “season” (Fall/Christmas, New Year, Summer). I usually make black and white copies on colored paper, so these are all black and white files (but you could add color if you know how to edit EPS files). You’re welcome to download and use any of these files as you please. Just download the PDF (without my placeholder words) and drop it into your favorite editing software to add your own text. If you’re handy with image-editing software like Adobe Illustrator or Photoshop, I’ve included the EPS files as well. I’ve worked with a few small wards where regular choir practice just wasn’t practical—mostly because the singers were already wearing multiple hats. A friend suggested I try InstaChoir™ (okay, it’s not really trademarked, but it’s funnier when I use it), something he had seen done in other wards (I don’t know who originated it). You’re welcome to download and use any of these files as you please. Just download the PDF (without my placeholder words) and drop it into your favorite editing software to add your own text. If you’re handy with image-editing software like Adobe Illustrator or Photoshop, I’ve included the EPS file as well. I think choir notices work best when they are full of enthusiasm and encouragement. Here a few example choir notices that might help you overcome any writer’s block you may be experiencing. “Every ward should make an effort to have an active ward choir that sings in sacrament meeting at least once a month” (Handbook 2, 14.4.5). We need your voice—all ages welcome! 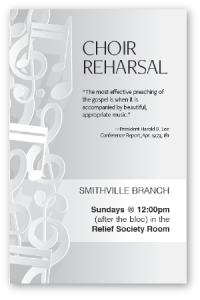 Choir rehearsal is every Sunday at 12:00pm (after the bloc) in the Relief Society room. SEPTEMBER: I Need Thee Every Hour (HYMNS #98, arr. Smith) | OCTOBER: No choir (Stake Conference) | NOVEMBER: For the Beauty of the Earth (HYMNS #92) | DECEMBER: Christmas Program! Bring Your Family to Choir! Participating in the choir with your family can be a great way to keep the Sabbath Day holy. 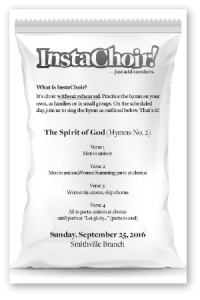 We plan to sing A Child’s Prayer (Children’s Songbook, p. 12) next month and we need your voices. 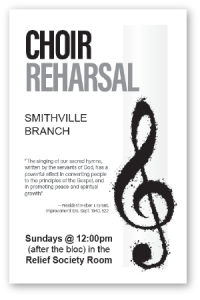 Choir rehearsal is every Sunday, except Fast Sundays, at 12:00pm (after the bloc) in the Relief Society room. Next month, the choir will sing a special arrangement of Onward, Christian Soldiers (HYMNS #246) to commemorate Memorial Day. Please “blend with ours your voices” as we rehearse each Sunday (except Fast Sundays) at 12:00pm (after the bloc) in the Relief Society room.